Walk here: Druridge Bay to Amble, Northumberland. It’s January. Everyone hates January. The darkness. The wet. The short days. I could go on. I think we have to search for things to enjoy in January, so I’m sharing a favourite beach of ours. 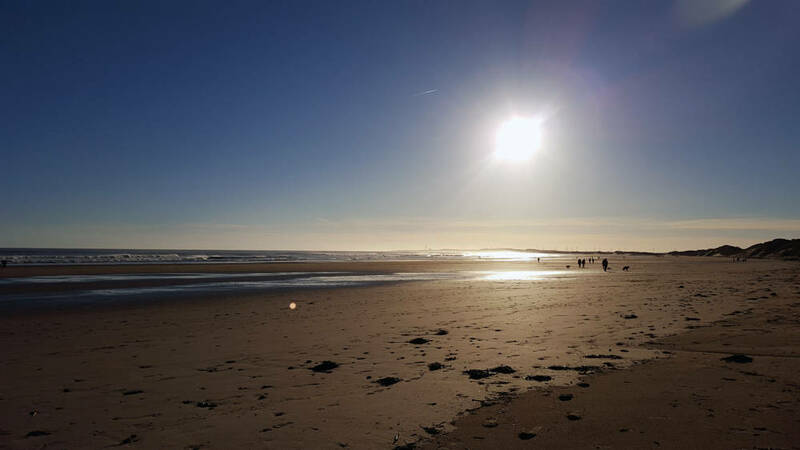 This picture, full of winter sunshine, was taken at Druridge Bay, Northumberland in late December 2015 and it couldn’t have been more glorious. Cold, bright and beautiful. 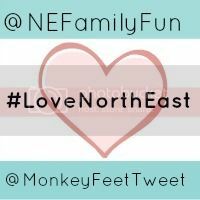 For all of us living in the North East, we’re definitely spoilt for choice when it comes to beaches, walks and getting out into the fresh air. And mostly, they’re not overcrowded. Druridge Bay is simply stunning. And at seven miles, is long enough to really get out and stretch your legs. We parked the car at the Country Park and set off for lunch at Amble. On this particular walk, we passed cyclists, surfers, a couple of horse riders (and the horses) and a few people surfing the sands which looked like awesome fun. 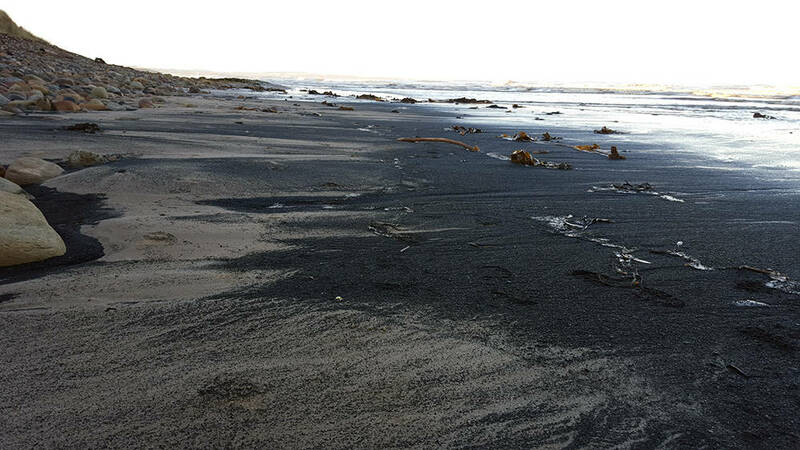 You’ll come across sections of the beach that are black; in the 19th century coal was mined nearby and some of it is still there on the sand. You’ll see anti-tank blocks and pill boxes too, on the coast to help ward off a German invasion during World War II. From the Druridge Bay Country Park to Amble it’s 3.5 miles and should take about 70 minutes, depending on how many times you stop to take pictures, collect shells and mess about! After about 3.5 miles, you reach the little town of Amble. You’ll see the caravan park on your left so be sure to come off the beach there. 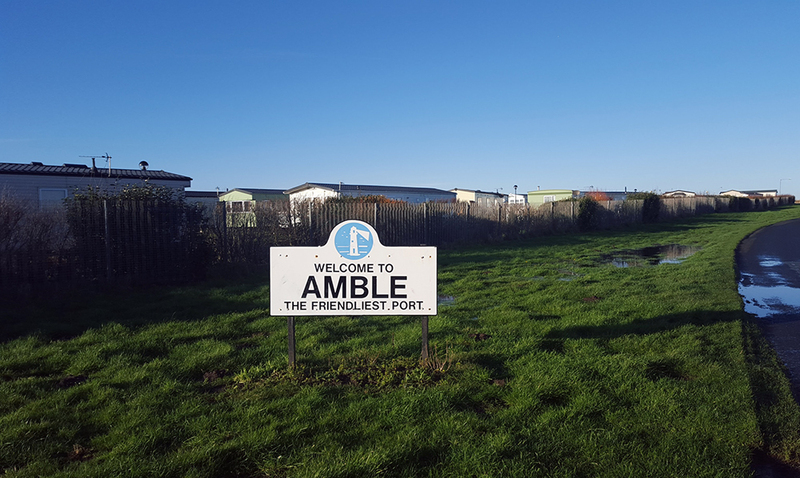 The sign is wonderful; Amble, The Friendliest Port! A couple more minutes along the road, you hit The Old Store House. We’d never been in so we decided to give it a go. Perfect for walkers, the floor is stone… no worry about the mess. The pub is light and friendly (as are the staff) and the food was perfect for us hungry pair. Mike chose the Northumbrian cheese platter, which for £8.75 was about the best value, largest platter we reckon we’ve had. And for me, some sweet potato wedges, £3.75 and creamy garlic mushrooms on lovely toasted rustic bread £5.75, enough carbs to power us back along the beach. We’d definitely recommend The Old Store House and you can see what you’d fancy on their menu. If the sun does come out in the dreary old month of January, the blue sky on this beach gives a different meaning to January Blues. Previous Post Is it really Miracle Murad Skincare? Next Post Treat yourself. Because you’re worth it. Fact. Mmmm, that meal sounds delicious! I’ve not been to Amble in quite a while, but you’ve made me think we might visit fairly soon! I love the Northumberland beaches. Love Druridge bay but I’ve never been to the old store house, I will have to rectify that!